When I set out to write the book Fra Damgaard til Microsoft (From Damgaard to Microsoft) in Danish, I also decided that it should later be translated and published in English. 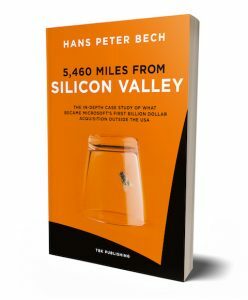 “5,460 Miles from Silicon Valley” is the full story of how in 1984, two youngsters aged just 21 and 23 years old, from a sleepy suburb of Copenhagen, Denmark, started a company. 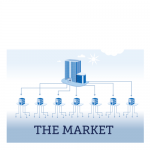 They got off to a flying start and showed a profit on the bottom line after just a few weeks on the market. Eight years later, they had 100 employees and sold software to the value of over 100 million Danish Kroner ($20M). However, the domestic market had become too small to feed the company’s appetite for growth. 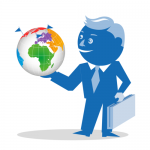 They initiated a collaboration with IBM, which with its global presence would be responsible for international sales. But it did not go as expected, and although they did well at home they were left behind by their biggest competitor abroad. After winning the local Championship in IPOs with a valuation of more than three billion Danish Kroner (close to $1B in today’s money) in the autumn of 1999, the company issued a downward adjustment 7 weeks later, throwing their shares into free fall. Stock prices quickly recovered, but the years following 2000 were difficult, and the solution to their challenges became a merger with the competitor, now almost twice their size. Just under two years after the merger, Microsoft bought the company for USD 1.45B. In Denmark, most people know that the two youngsters are Preben Damgaard and Erik Damgaard and that the story is about Damgaard Data and Navision Software. The book is primarily based on Damgaard Data, and therefore “Fra Damgaard til Microsoft” (From Damgaard to Microsoft) became the book’s Danish title. The book is translated into English primarily because the stories about Damgaard Data and Navision Software are great examples of how it is possible to start, grow and run successful, international companies from one of the world’s smallest markets, which does not have English as the main language. Damgaard Data and Navision Software’s first products were developed exclusively for the Danish market. Their growth in the domestic market ensured the financial basis for the development of new products that could be internationalized and for the activities that were to be undertaken to enter new markets. 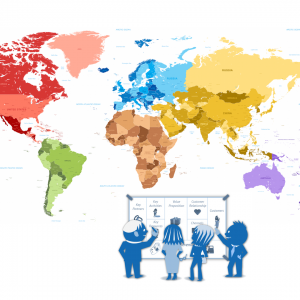 Neither of the two companies was so financially successful at the time of the start of their internationalization that they could use the bulldozer method and just set up subsidiaries in all the major countries. They found other and more inventive methods of which the book provides detailed descriptions. “5,460 Miles from Silicon Valley – The In-depth Case Study of What Became Microsoft’s First Billion Dollar Acquisition Outside the USA”. It will be released June 1, 2018, and will be sold by Amazon in the United States, Canada, Mexico, Brazil, Italy, Spain, France, Germany, Holland, India, Japan and Australia, as well as by IngramSpark to bookstores worldwide. It is my wish that the book can help inspire entrepreneurs around the world to aim high, very high. Even though the scaling of startups today can and must be done much faster than when Damgaard Data and Navision Software fought with the same task, it might be worth having a little patience and look to how Erik Damgaard, Preben Damgaard, Jesper Balser, Torben Wind and Peter Bang and their employees approached the challenge. Their path from inception in 1984 until the billions appeared in their bank accounts in 2002 was full of hurdles, surprises and setbacks. Self-confidence, persistence, ambition, ingenuity and excellent timing made the difference and ensured success. Here’s a short video where I introduce the English version of the book.